The view of the Castle from the river is the finest there is. This trip is popular families and day visitors packing a lot into their itinerary, as boats depart frequently throughout the day. Travel from Windsor to Boveney Lock and return, with views of Eton College, Mill House, Windsor Racecourse and Brocas Meadows. 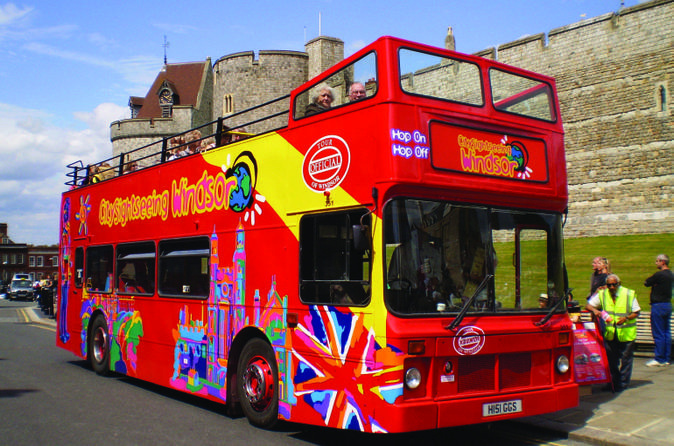 Experience England’s royal history on this City Sightseeing hop-on hop-off tour of Windsor, home to magnificent Windsor Castle -- the official residence of the Queen of England and the largest occupied castle in the world. Witness the Changing of the Guard ceremony outside Windsor Castle (depending on the day), stroll down the Long Walk in Windsor Great Park, and travel across the River Thames via Windsor Bridge to see famous Eton College in the nearby town of Eton. Enjoy informative commentary and great panoramic city views aboard the open-top, double-decker bus, and hop on and off at your leisure to explore at your own pace. Your Windsor hop-on hop-off tour pass is valid for 24 hours from the time of first use. 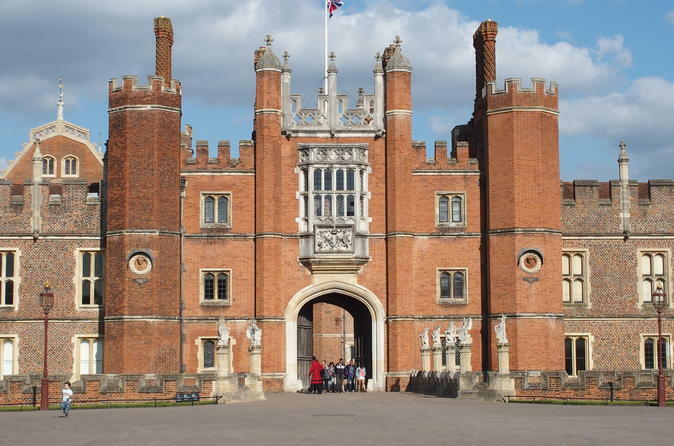 Enjoy Windsor Castle and Hampton Court Palace in one day by taking this shuttle between the two attractions! 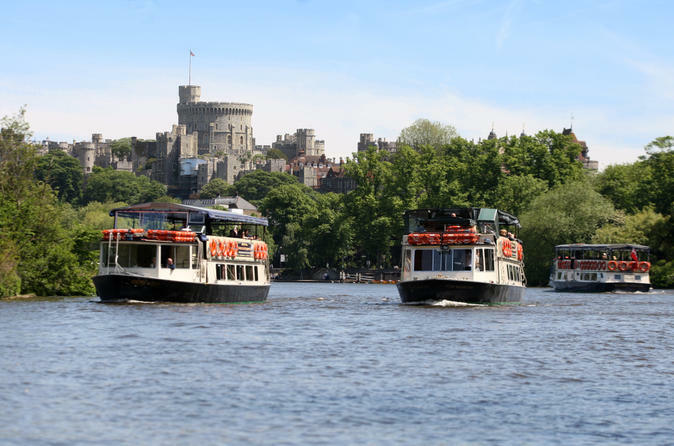 Travel independently by train from London Paddington to Windsor & Eton Central or London Waterloo to Windsor & Eton Riverside for your morning visit (we suggest departing at around 08:45 to get the most of your day; journey to Windsor at own expense). Either station is only a short walk to the Castle entrance. After your morning visit, take the lunchtime Shuttle to Hampton Court Palace which will deliver you to the main entrance. 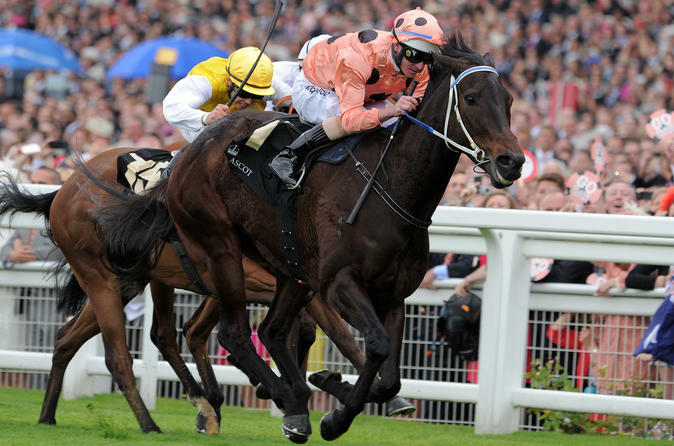 Experience professional horse racing at one of England's most famous racecourses.